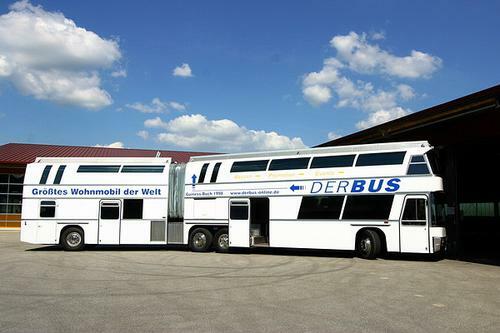 Check out this converted Mercedes Horsebox. 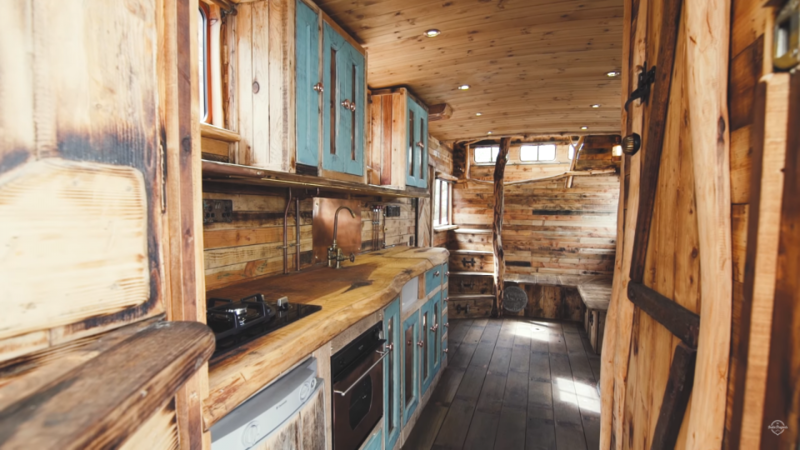 It's been transformed into a comfy home-on-wheels with a beautiful wooden interior. 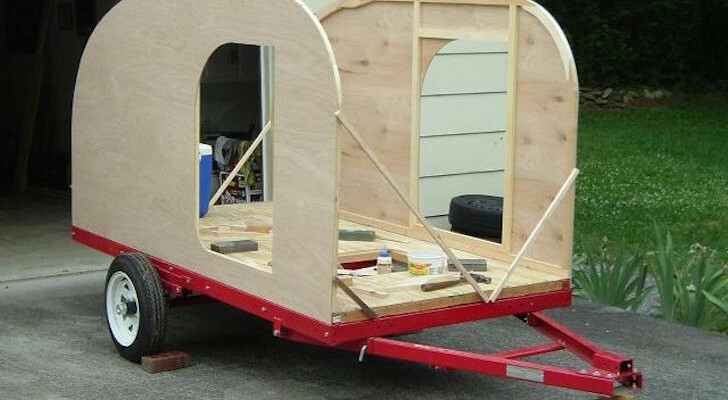 There’s nothing like seeing old vehicles get put to good use again. 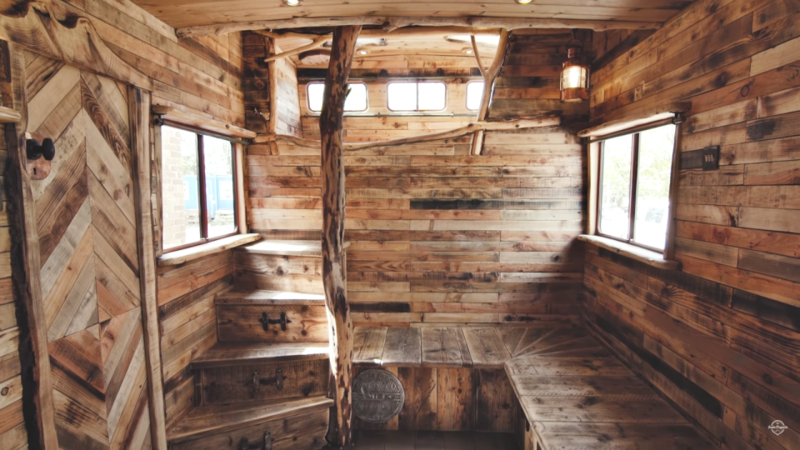 Retired school buses, fire trucks, and ambulances can all be repurposed into cozy homes-on-wheels. But it’s not everyday we see old horse van conversions. 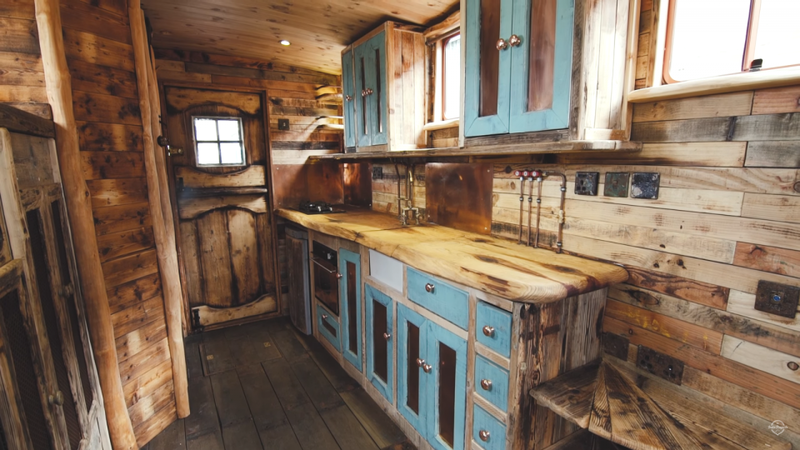 So when we came across this custom build from the UK, we knew right away we had to see the inside. 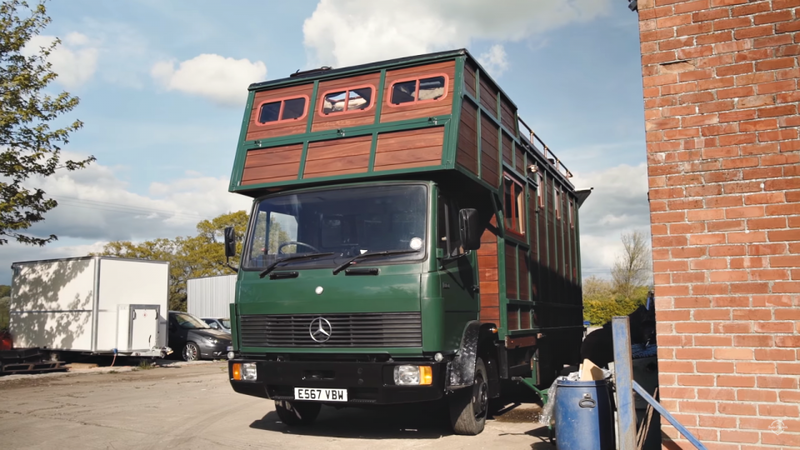 Helga is a converted Mercedes 814 Horsebox from Somerset, Southwest England. It was stripped all the way down and rebuilt to be like new again. 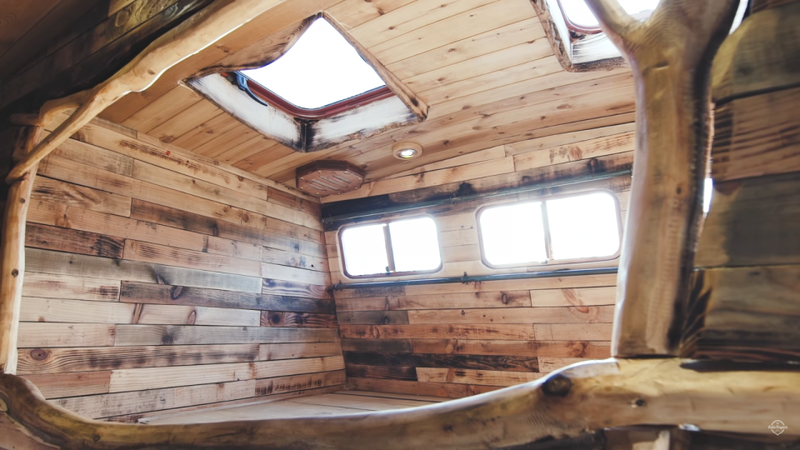 The interior now has a rustic feel with beautifully detailed woodworking. 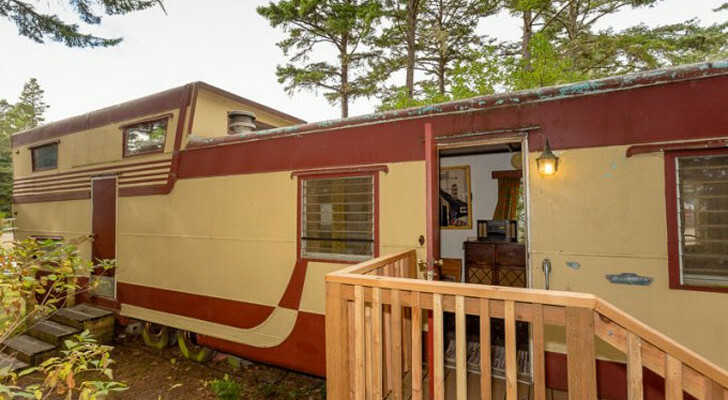 It has a kitchen, seating area, wood burning stove, lots of storage space, and steps that lead up to a bed. 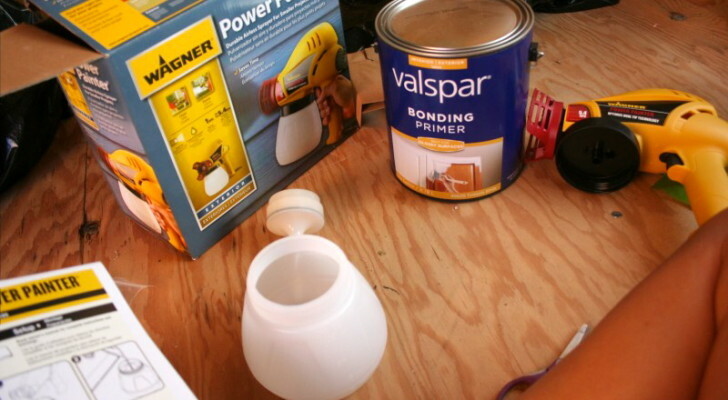 The kitchen has all of the basic essentials. A stove, fridge/freezer, and oven are all here, as well as a sink concealed under a piece of removable wood. Just past the kitchen is the seating area. It’s located next to the steps and separated by a piece of hawthorn wood. The top of the seats can be taken off to access more hidden storage underneath. The steps lead up to a comfy bed area. Three windows and two skylights allow plenty of natural light in throughout the space. They also added in bedside lights, as well as speakers, and USB outlets to charge their phones.